Extork Trion wrote: Quick question for those of you who also own a Sideswipe... in his alt mode, do the front wheels roll? On a flat surface mainly. There's that fake wheel that connects the feet, but it's got a nub sticking out that just barely sticks out more than the actual wheels. Nope. Mine doesn't roll. I might file down that nubby bit. It's in the heel area of the foot in robot mode but doesn't look like it's essential since he's got part of the front of the car behind the foot too. Might be worth filing it down just enough to let the car roll. I love Sideswipe but my one's got a couple issues. One of the chest parts sometimes comes loose from it's balljoint during transformation so I gotta fix that and on the gun storage on his backpack, one of the ports for the guns didn't hold it's gun very well at all but I fixed that with a bit of nail polish in the port. Other than those issues and the rolling problem I really like the toy a lot. Rodimus Prime wrote: Just a heads up with SS Cogman, you guys better have a lot of patience with snapping panels into place, because this figure almost made me I had a hell of a time snapping his roof and windshield into place, and his side panels come loose very easily if you put pressure on the roof and windshield to get them into place. Is that just SS Cogman? Cos I had no issues with the TLK version. I have no real issues with TLK Cogman. The roof is a little tough to get pegged, but I just unpeg other things to get a good grip. that's awesome, You're making me want that figure. I feel the 100x100 pic is a little hard to "read". Need to adjust the contrast/shadows a bit, or somehow make it more recognizable. Still awesome. I do love the transformation though but I wonder if anyone has been able to get a really nice clean and non gappy alt mode. Here is the best I can do. That's how mine looks as well. I do love this guy, such a massive improvement over the original. I just really love that transformation. It reminds me why I love movie line toys so much. Carnivius_Prime wrote: Nope. Mine doesn't roll. I might file down that nubby bit. It's in the heel area of the foot in robot mode but doesn't look like it's essential since he's got part of the front of the car behind the foot too. Might be worth filing it down just enough to let the car roll. Well I gave it a go but still mostly just one of the front wheels rolls on flat surface. It all rolls on carpet fine. Better than it did. But yeah it's not great on a smooth flat surface. accidentally filed a tiny bit of silver paint off the bottom of the bumper too but i hopefully can fix that with some veeery careful painting. it's not a big deal but still annoying that i was even that tiny bit careless. Is Bonecrusher a recommended then? I like the guy but was gonna wait til in sales or something but I'm feeling the urge for a new figure cos it's been a month or so I think. Carnivius_Prime wrote: Is Bonecrusher a recommended then? I like the guy but was gonna wait til in sales or something but I'm feeling the urge for a new figure cos it's been a month or so I think. If you like movie designs, then I recommend him 100%. I am very impressed at how such an alien looking bot can convert into such a nice tight earth vehicle where most of the alien detail is hidden. And yet there is no extraneous kibble in either mode. My main beef with the figure is the cheap looking plastic but it doesnt take away from my enjoyment of the figure. Nah I hate movie designs. They're all super ugly scrap metal. Ugh I felt wrong even joking that. Sounds like a fun figure. I had fun with the original deluxe back in 2007, apart from the obvious size issues so yeah I think I'll like this one. Eh if the look of the plastic bothers me that much I'll probably paint it or something. I dunno. I guess one good thing about having a Walmart with very little product is that its obvious when they get something new. They got one case of SS Voyagers in. Of course whoever put them on the shelves put only 2 Rampage's down below on the shelf (with room clearly for 4-5), and put the rest (3 BB Prime's , and another Rampage) above in the overstock section . Of course I took the time to fix that. Both look very cool, but since I'm not a SS collector, I just dont want to go down that road by starting. The thought of having a really good SS Devastator is very tempting, but I have to resist. Too many other Legends I'm behind on, and Siege Items coming up I need to save for. Well, since I've complained several times recently about Walmart stores in my area being all but devoid of Transformers figures of any kind in the SIEGE thread, I thought I'd take a moment here in the Studio Series thread to tout how well Target has been doing with keeping their Transformers products stocked and up-to-date. I found the Wave 6 Deluxe Class figures at one Target store earlier today. They had multiples of Cogman, Scrapmetal, and Shatter. Very nice! I had to pass on them, though, because I still hadn't found the rest of the Wave 5 Deluxe figures. (Spoiler Alert: I did later!). The Target I visited after that had a few Deluxe Barricades and a Crankcase on the shelf. I already picked up both of them a few weeks earlier. There was an employee in the next aisle over doing some clean up on the shelves. I asked him if he could check if any more Deluxes were in stock in the back, hoping they might have another case of Wave 5 yet to be opened. There were 3 more Deluxe figures total in the back, and he agreed to get them for me, asking me if I was looking for any character specifically. I described Sideswipe for him, my highest priority at that moment. He said it was a good thing it was slow right then, because he wasn't technically supposed to go get items from the back for customers, but he was happy to do so anyway. He asked me to wait a few minutes, and then he came back with not just Sideswipe (which, to his due credit, he immediately recognized as the one I wanted), but Clunker Bumblebee and WWII Bumblebee as well! I bought all three. I'm glad I passed on the Wave 6 guys earlier now, as I feel good about finishing off Wave 5 first. I'm also glad that employee was so indulgent and patient. It feels good getting customer service that goes above and beyond like that. Next pay check, I will probably pick up the Wave 6 Deluxes if they are still around at that other Target store. In regards to the Devastator image, does that mean all the Constructions actually exist in Studio Series toy form in Hasbro HQ or someplace? I really want to see those unrevealed bots. I really liked the 2009 Mixmaster toy a lot but wondering if it's gonna be somewhat simplified this time around for structural integrity reasons being part of Devs which the older toy didn't have to worry about. 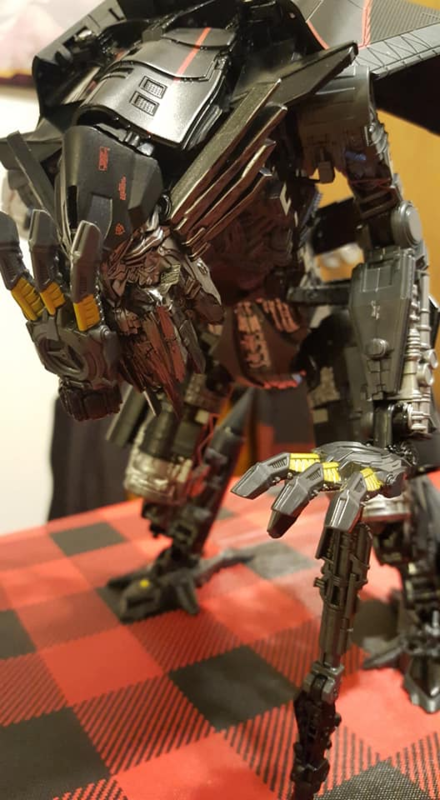 Carnivius_Prime wrote: In regards to the Devastator image, does that mean all the Constructions actually exist in Studio Series toy form in Hasbro HQ or someplace? I really want to see those unrevealed bots. I really liked the 2009 Mixmaster toy a lot but wondering if it's gonna be somewhat simplified this time around for structural integrity reasons being part of Devs which the older toy didn't have to worry about. Mixmaster is the one that has me curious too since he's the only one of the bunch to have kibble specific to Devastator (his face). The toy is somewhere along the production cycle but I dont think they have a finished one at Hasbro HQ yet since its still very far away. I could be wrong of course. 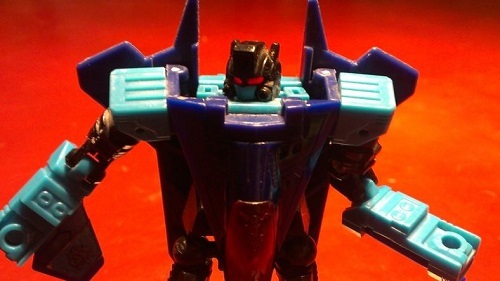 william-james88 wrote: Mixmaster is the one that has me curious too since he's the only one of the bunch to have kibble specific to Devastator (his face). The toy is somewhere along the production cycle but I dont think they have a finished one at Hasbro HQ yet since its still very far away. I could be wrong of course. I forgot about the face. Yeah. I'd still like a green glow in there but SS toys don't have battery operated things (and I hate light-piping) but yeah where's that face gonna hide in Mixy's robot mode? The Devastator image showing which figures go where is a mock up then? Artists impression just using the already revealed toys and making up the rest or have they all been designed to some degree from the start? Carnivius_Prime wrote: The Devastator image showing which figures go where is a mock up then? Artists impression just using the already revealed toys and making up the rest or have they all been designed to some degree from the start? I think that image was done even before the already existing toys. The first step of toys is the design and what you are seeing in that image is that first step. william-james88 wrote: I think that image was done even before the already existing toys. The first step of toys is the design and what you are seeing in that image is that first step. aw ok. I wasn't sure when the art was done and either way I assume it's a promo image to get us excited and willing to buy the first few figures before we're even sure what the final assembled Devy will actually look like and there's a real chance the toy(s) might not end up looking that good. I do hope they paint red on Dev's face like in the film but if not I can add that myself I suppose. A couple years ago I never expected we'd get a full new range of figures redoing characters from the past movies and that they'd go as far as a whole new Devastator with each part having his own robot mode. Would be neat but then I'd have to buy the old toy too and that can be expensive. Even in charity shops I've only ever seem the odd limb pop up now and then. Never the head/body. Maybe there's enough room in the SS version's head to stick a small green LED thing a third party could produce. From William-james88 post on SS Bonecrusher gaps, A little late on response with this in regards to how Bonecrusher looks in vehicle mode. Mine is not bad other than the roof area. That seems to be my issues with mine. Of course i am just loving the more detailed version of this. This particular vehicle is massive in person if you haven’t seen one in operation. For the most part it can take a beating from IEDs depending though on the weight of the explosives. I saw repaired three times during a deployment. Change a few parts here and there and it is back in action. Of course there have been some not so lucky. Anyways, just wanted to share how mine looks. Last edited by SGMLordMirage on Thu Mar 07, 2019 8:53 pm, edited 1 time in total. (I'm writing this on my PC though I had tried to do it on my phone a minute ago but got the 503 Service Unavailable page again). Anyways me done for tonight. Goodnight folks. Here is some photos of Shatter, with Bumblebee and Dropkick. Honestly, I am not that impressed with her, however I was wanting her more for the vehicle mode, rather than her robot mode. I will say transforming her into vehicle mode was interesting. It’s not bad, but just getting a few pieces to fall into place, but that could be me. Last edited by SGMLordMirage on Thu Mar 07, 2019 8:56 pm, edited 2 times in total. WHY IS EVERYONE BUT ME FINDING THAT WAVE!?!? Ig89ninja wrote: :-x WHY IS EVERYONE BUT ME FINDING THAT WAVE!?!? Don't worry, it'll show eventually. I still haven't seen the rest of the last wave yet. dude, same here. All of canada is behind at the big box stores. The only thing new we got in 2019 were the wave 1 leaders and G1 prime reissue. Nothing for studio series since Heli drift. Why does Bonecrusher have that curved seam on his roof? Haven't seen a reason why those panels need to be shaped that way in robot mode. I ask myself the same question. Doesnt really bother me though.